Out of the ca. 250 participants several have considered our challenge. So after 24h of hacking only six submissions made it to the final presentation for our Hackathon which showed us the vast interest in SAP Hybris Revenue Cloud. 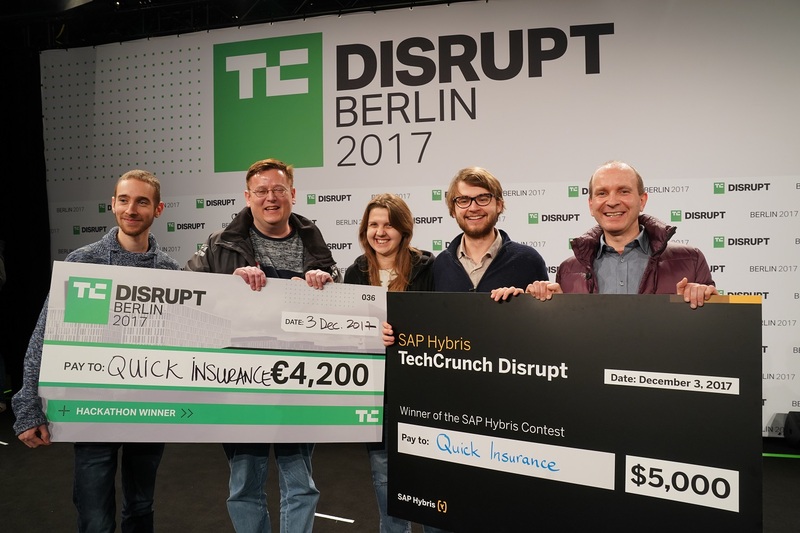 The SAP Hybris jury discussed and after an intense round of presentation we decided for team “Quick Insurance” – Protect the things you want and when you want. They created a business model to insure your gadget for just a few days, only when you need it. Also, they clearly demonstrated the value of their business model and the viability in their pitch. “humble” – AI-powered recruitment matchmaking for engineers. Next generation of recruit matching using revenue cloud to pay per swipe. “Gym as you go” – Gym memberships are inflexible and lock customers in. Gym As You Go! introduces pay-per-use for equipment on the gym. Very interesting about the team is that they just meet here. Watch for 60 sec. pitch online – really nice, what they came up with as team effort. 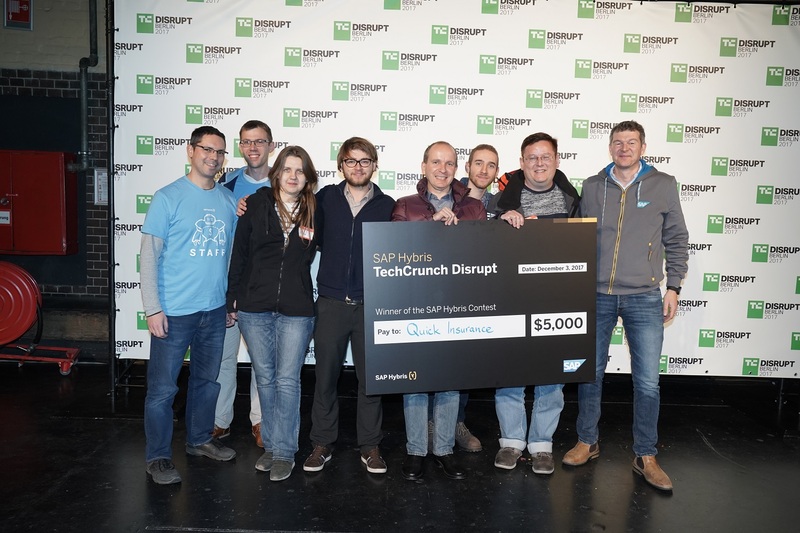 As you can see in the photo below (winner team and SAP Hybris staff) we have a great winner and they well-deserved that prize!